All VERRADO PARCEL 4.810 homes currently listed for sale in Buckeye as of 04/26/2019 are shown below. You can change the search criteria at any time by pressing the 'Change Search' button below. "Beautiful former model home is fully furnished & loaded with all of the upgrades from built in speakers throughout to granite counter tops to high end carpeting and the SOLAR IS OWNED! 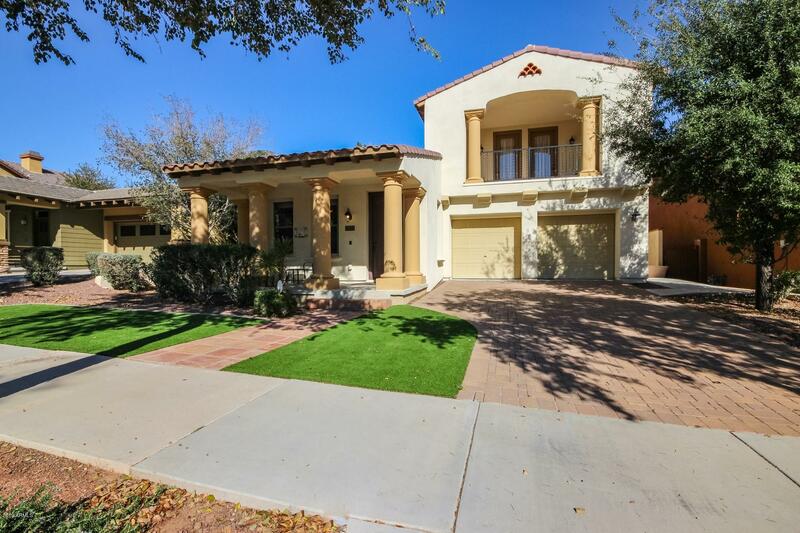 This home features a relaxing courtyard, beautiful backyard with a bubbling fountain, large master suite with a sitting/office area, 2 walk-in closets and lavish master bath with dual sinks, jetted tub and titled shower. A balcony connects to other 2 bedrooms for viewing sunsets and the White Tank Mountains. Conta"